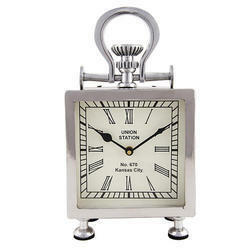 Aluminum case clock with specially shaped dial. 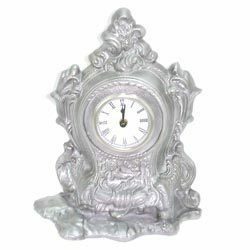 - 40 mm = 15"
Our clients can avail from us the best quality brass table aluminium clock that have been developed using fine quality brass that gives it an alluring look . Our clients can avail the product with customized options. The products are in compliance with international standards.